The Lord’s Test was one of those matches that makes you feel slightly sorry for those uninitiated into, or unpersuaded by, the wonders of cricket. For example: all those ancient Romans, Incas and suchlike born tragically in the wrong place and at the wrong time; the elephants, sharks and stick insects cursed by being created as non-cricket-watching species; most Americans; my brother; N Srinivasan; and certifiable buffoons. They missed a sinuous drama of ever-cranking tension, burst in the end by a thunderously stump-clattering denouement, and scenes of glorious, infectious Pakistan delight. As all great cricket matches are, it was speckled with individual and collective brilliance and bloopers. Unlike most great cricket matches, it also featured a 42-year-old scoring a century, a legspinner taking ten wickets at Lord’s, a player taking 11 wickets and batting for almost five hours before being out, but still finishing on the losing side, and Nigel Farage, UKIP’s quitmeister general, being roundly booed whenever he walked up the steps at the side of the Mound Stand on Friday. In every respect it was a magnificent, unforgettable occasion. It was the fourth great Test match that Lord’s has hosted in the past four years, after similarly captivating contests last year against New Zealand, in 2014 against India, and two years prior to that against South Africa. The latter two were similar to this year’s game. All featured tightly contested first innings with scores around 300 (339-272 this year; 295-319 in 2014; 309-315 in 2012). Bowlers held the balance of power, but batsmen were able to score. South Africa’s second-innings 351 was the highest innings in these three matches, England’s 207 on Sunday the lowest. The almost identical run rates – 3.05 in 2012; 3.03 in 2014; 3.09 in 2016 – have been unspectacular by modern standards, and only four sixes have been hit in a total of 1138 overs – three in 2012, one in 2014, none in this year’s Test. In fact, excluding the 88-over Bangladesh v South Africa Test in Dhaka last summer (reduced to one day’s play by a prolonged splattering of entirely scheduled seasonal rain), this was the first six-less Test anywhere since England and West Indies failed to clear the ropes at Lord’s in May 2012. Nevertheless, each game has utterly gripped the minds and souls of those who have watched them; each has made you want to dig up the Romans and the Incas, shake them by the scruff of whatever is left of their necks, and shout: “Don’t you realise what you are missing?” Or dive into a shark tank and gloat about how much better a good Test match is than swimming around in an ocean trying to find your next helping of seal carpaccio. England, after recovering from three bad fourth-innings starts to force their way back into contention three times, have lost all three. How we have sacrificed ourselves for the greater good of the Test game. Looking ahead to what should hopefully be a better series than the one-sided clouting that followed India’s illusory win in 2014, there are weaknesses for England to exploit, straws at which to clutch – an unconvincing opening pair, a weak tail (Pakistan’s last three wickets added just 36 runs in the match, the joint third-lowest by a winning side that has batted two complete innings in a Test this millennium), and a less-than-Olympian fielding unit. Not that Pakistan needed an Olympian fielding unit. They took only seven catches in the match. 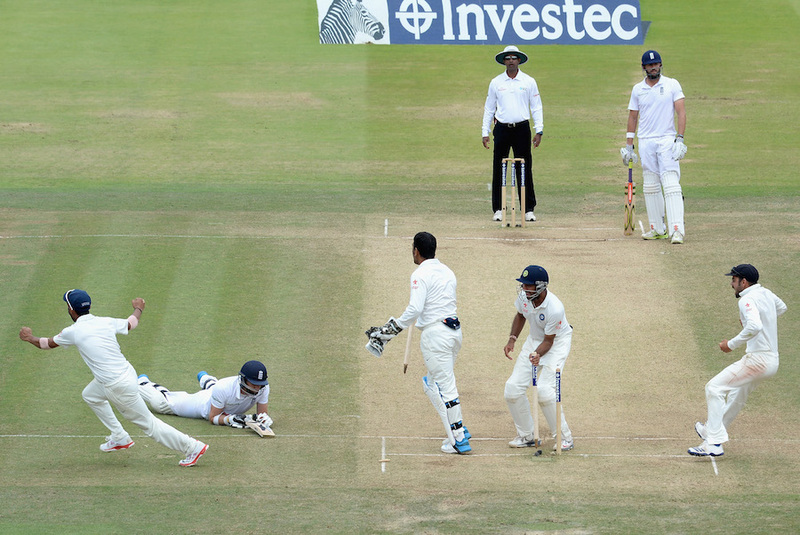 There now follows a List of the Six Teams Who Have Beaten England Whilst Taking No More Than Seven Catches in Test Matches Since 1990. Another potential vulnerability is that they have no back-up bowling in the current XI. This was only the third time in the last ten years that a team has beaten England using only four bowlers; Australia did so in Leeds in 2009 and Perth in 2010-11. (England themselves beat Pakistan at Lord’s in 2010 using only four bowlers, a fact largely overlooked in most histories of that Test match.) If England can neutralise Yasir Shah, none of the remaining seamers, though they were impressive collectively at Lord’s, has a recent record of major Test wicket-taking. However, that “if” is one of ample, almost Inzamamic proportions. And those seamers looked like they are quite likely to embark on some major Test wicket-taking quite soon. 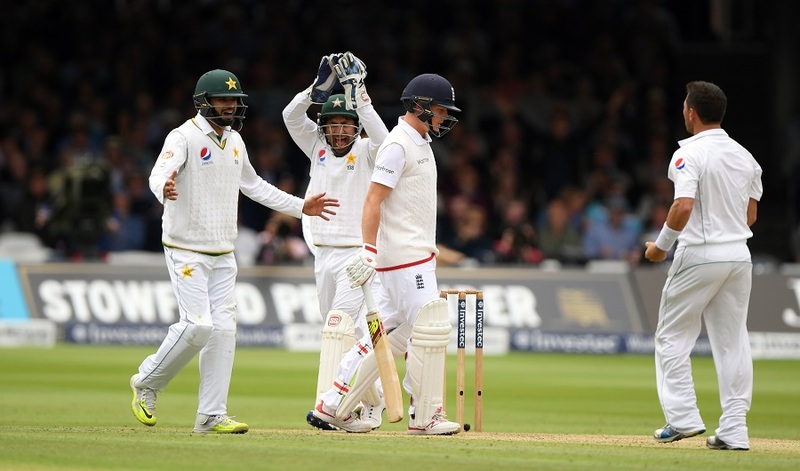 There was some talk before Sunday’s play of how England would have to be ruthless with any loose ball bowled by Yasir. This plan they executed impressively. The only problem was that there were only about six loose balls in his 31 overs of probe (England managed three fours in his last 25 overs). Yasir is a magnificent cricketing jewel. He does not seem to have the whirling mystery and intermittent mercurial unplayability of Abdul Qadir or Mushtaq Ahmed. He just bowls good balls almost all the time, and very good balls quite often. Cricketing history suggests this is a Good Plan. Especially against a team with a historic vulnerability to (a) good legspin, and (b) very good legspin. Grand statistical conclusions are risky this early in his career, but his numbers are eye-popping. He is on course to break George Lohmann’s 120-year-old record for fewest matches required to reach 100 Test wickets. He has been the leading wicket-taker in five of Pakistan’s last six Test victories, and joint-leading wicket-taker in the other (he and Shoaib Malik both took seven against England in Sharjah). He has taken seven or more wickets in a staggering nine of his 13 matches. By way of a few comparisons (and bearing in mind that Yasir is unlikely to maintain quite such a staggering success rate), Murali took seven or more in 59 of 133 Tests, a statistical miracle; Warne 42 in 145 (ditto); Abdul Qadir 13 in 67; Mushtaq Ahmed 9 in 52; Danish Kaneria 9 in 61; Stuart MacGill 13 in 44. As a bonus stat, on Sunday, Yasir became the first bowler ever to hit the stumps of England’s Nos. 5, 6 and 7 in the same Test innings. And this was the first Test in which England have lost eight batsmen bowled out since the drawn match in Port Elizabeth in 1999-2000 (when seven were castled by the South African pacers in the first innings alone). The relentlessness of Yasir’s excellence was one of the principal factors in another recurring English problem – a failure to convert. In this match they struggled to convert 20s into fifties. England’s batsmen had nine scores of 20 or more, but only Alastair Cook’s drop-assisted 81 breached the half-century mark. In Tests in which they have posted at least six scores of 20 or more, this represents their worst conversion of 20s to fifties since the 2005 New Year’s Test in Cape Town, when all 11 English 20s went un-half-centuried. This highlights the unceasing pressure applied by Pakistan’s bowlers. Pakistan, for their part, only converted two of their 11 scores of 20-plus into half-centuries. Highlighting the almost unceasing pressure applied by England’s bowlers. More on England’s ropey conversion stats later in the week. And their relative weakness against left-arm seamers. James Anderson’s return should prove influential. Whether it proves decisive will depend on England’s ability to stop getting out, having got themselves in. A task that will be made significantly easier if Pakistan drop Yasir, start bowling right-handed a bit more, and read cover to cover MS Dhoni’s little-read coaching and captaincy tome, How to Follow Up a Nerve-Jangling, Brilliant Lord’s Victory as Uselessly As Possible.